For christmas we both agreed that after the holidays we would look for a second hand mountain bike each, we figured we could chuck the bikes on the back of the van, head off for the weekend and see some new places by bike instead of by foot, we could also leave the van where it was and use the bikes to get from A to B. 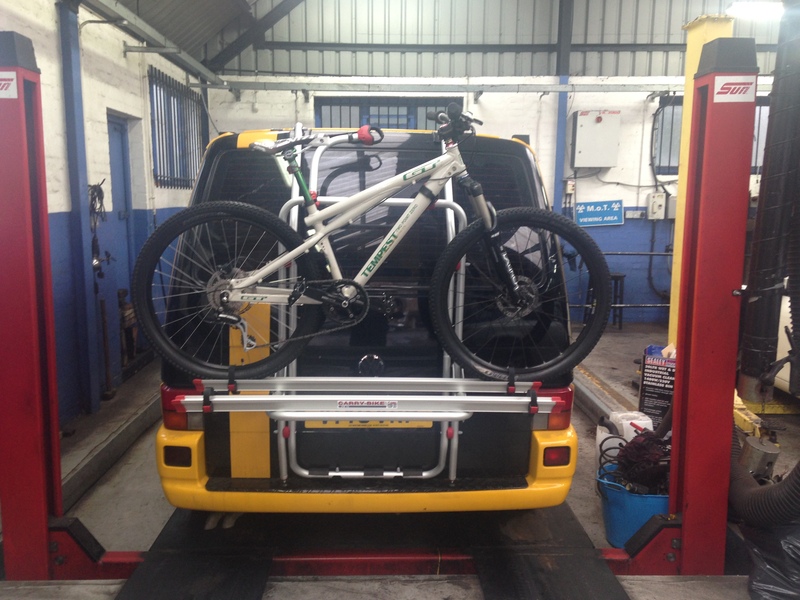 The rack we went for is the Fiamma 2 bike rack for a single door T4, we bought it from Just Kampers who had a promotion on, the rack plus a cover for your bikes whilst on the rack for 200 quid, result. Fitting the rack was pretty straight forward, you build up the frame following the manufacturers fairly clear instructions and then attach it to the van, there is a small plastic strip under the lip at the bottom of the tailgate held on with four rivets that needs to be removed for a good secure fit. 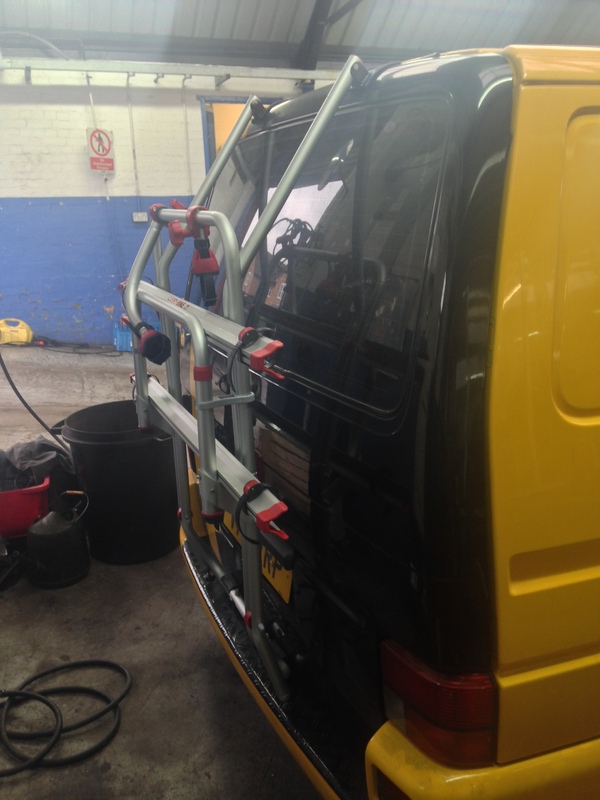 Once thats done and the boot is closed your not getting the rack off unless you get your spanners out ! 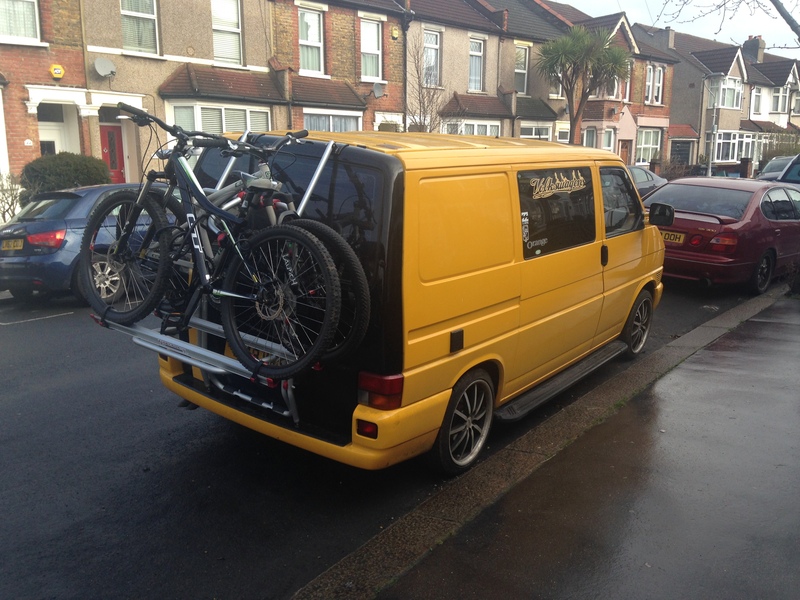 It holds two bikes adequetly but you can buy additonal bits to carry four, it doesn’t rattle and doesn’t appear to be damaging the paint work, the tailgate is pretty tatty anyway so not to fussed. The only other thing to buy is a padlock to lock the bikes to the rack, all in all I would highly recommend this bike rack if you can get past the 200 quid price ! I would also recommend Just Kampers, good price and delivered super fast !